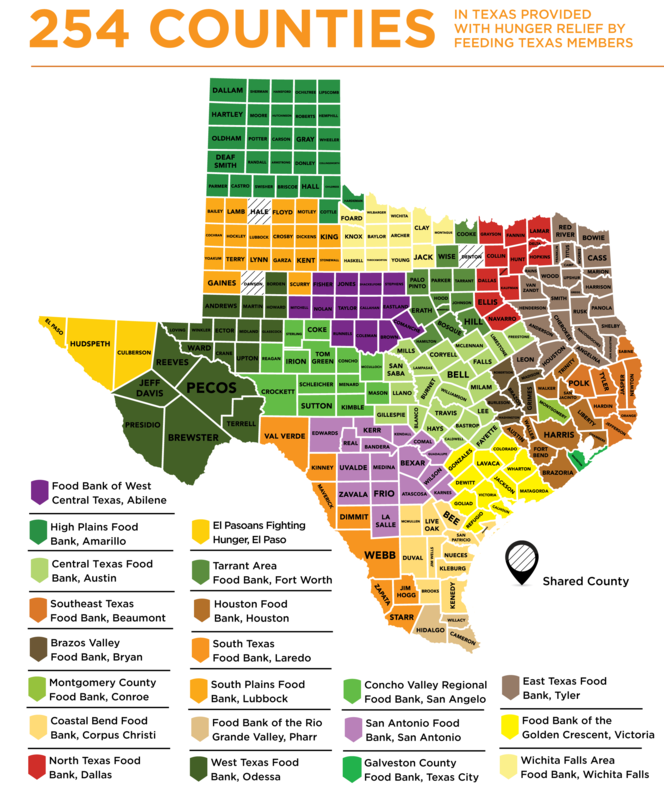 Feeding Texas, formerly known as the Texas Food Bank Network (TFBN) is a statewide, 501(c)3 nonprofit organization. Our mission is to lead a unified effort for a hunger-free Texas. We move millions of hungry Texans toward food security through a statewide network of food banks; strengthen the collective response to hunger through collaboration and scaling success; and lead the public conversation needed to solve hunger in Texas.